Slow Cooker Ribs are super tender and easy to make. With little effort, you will have the most incredible melt-in-your-mouth ribs. Cooked in a delicious homemade BBQ sauce, this dish is far better than at any restaurants. Ribs are probably one of our favorite meals. 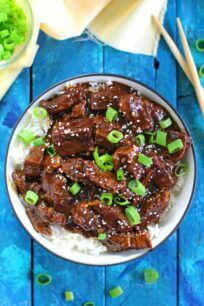 We make them over and over in various form, but hands down, this slow cooker short ribs recipe results in the most fall off the bone tender pork ribs. 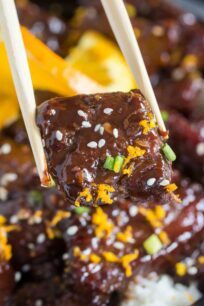 They are covered in a delicious barbecue sticky glaze with caramelized edges. You can enjoy them as is, or mix them up with some corn on the cob, roasted potatoes, or some baked beans. 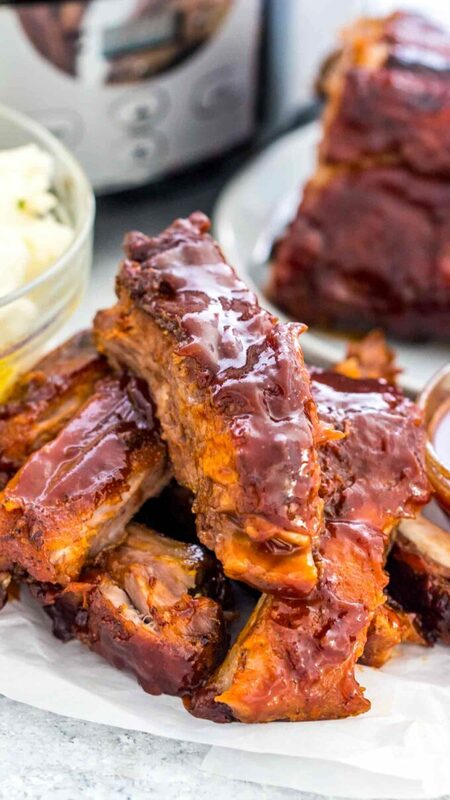 Slow Cooker Ribs are perfectly cooked every time we make them. Because they cook in the crockpot over a longer period of time, it results in moist and flavorful meat. With this crockpot ribs recipe, you don’t have to worry about them being dry or not cooked right. 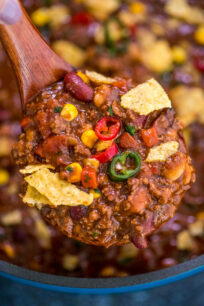 The crockpot does all the work, and anyone can easily master this recipe. 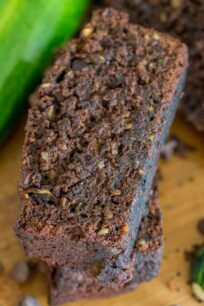 It requires a few simple ingredients, and only 15 minutes to prepare. Then simply set the cooking time and place them inside the pot for a perfect dinner. This homemade recipe will work for any style of pork ribs. Usually, we go with baby back, because we are just so used to them. However, country-style or spare ribs will work just as well. Once slowly cooked, we brush them with the delicious homemade BBQ sauce. Then, we broil them for an extra 3-4 minutes. This makes them crispy on the outside with nice caramelized edges. 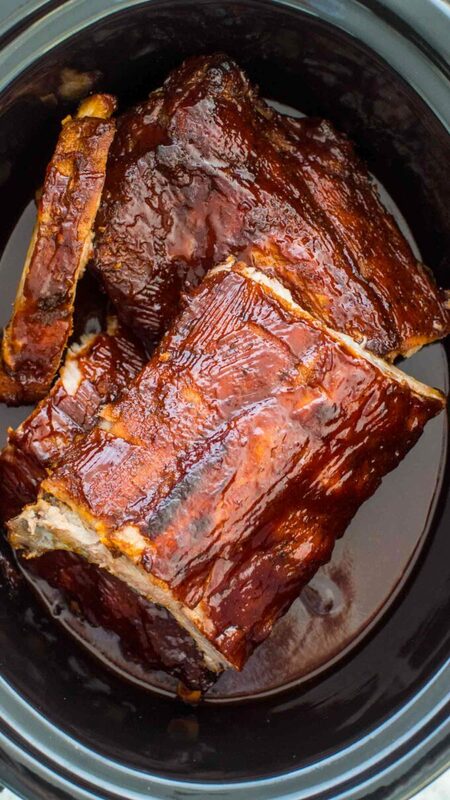 HOW TO MAKE SLOW COOKER RIBS? The first step would be to remove the membrane from the back of the ribs. If the membrane is still attached, it is best to remove it, as it will result in more flavorful and tender meat. Just flip the ribs so the meaty part is face down. Then, slide your fingers under the membrane and rip it off. You can use a paper towel to hold and yank it off. Next, cut the rack into a few sections, based on how you prefer to eat them. Prepare the rub to season the meat. We use a blend of paprika, brown sugar, onion powder, garlic powder, salt, and pepper. Mix the ingredients together, and sprinkle the rub over the meat. Pre-bake them for about 10 minutes on each side if you have time. This will lock in the juices and render some of the fat. Lastly, add the ribs to the slow cooker, and pour the BBQ sauce all over them to evenly coat. If you are not a fan of BBQ sauce, skip this step, but coating them with homemade sauce gives them a rich and delicious flavor. Cooking time will vary based on preferences. As a general rule, the longer the cooking time the tender the meat will be. Cooking on LOW: 7 HOURS, or HIGH: 3 HOURS, will result in soft but stay on the bone ribs. Cooking on LOW: 9 HOURS, or HIGH: 4-5 HOURS, will result in super tender and fall apart ribs. Once done cooking, baste them with more BBQ sauce and broil for additional 3-4 minutes until perfectly brown. HOW TO MAKE BARBECUE SAUCE MIXTURE? You can use store-bought sauce to coat them, but our homemade version is finger licking good! All you need is to mix the ingredients below till its smooth. How to make Barbecue Ribs in the oven? Another alternative would be to make them in the oven. We already have a top-notch oven based recipe which you can check here. How to make Barbecue Ribs in the Instant Pot? 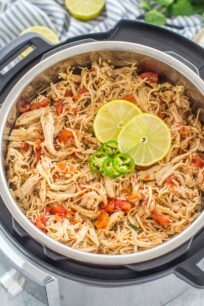 Making this recipe in the Instant Pot will save you a lot of time. Since the meat is cooked under pressure, the cooking time is drastically reduced. Yet, the meat is also tender and fall of the bone. 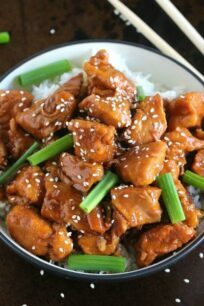 We have already included the Instant Pot version of this dish and can be accessed in this link. How to store Slow cooker Pork Ribs? Once cooked, make sure they are completely cooled down. Then transfer them into an airtight container or wrap tightly with heavy-duty aluminum foil or plastic wrap. They will maintain the best quality if properly stored in the fridge for up to 3-4 days. Reheat before consuming. Crockpot Ribs are super tender and easy to make. With little effort, you will have the most incredible melt-in-your-mouth ribs. 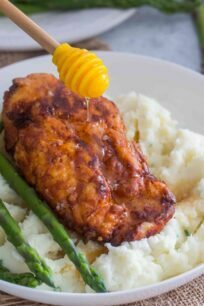 Cooked in a delicious homemade BBQ sauce, this dish is far better than at any restaurants. Spray the inside of a 6-quart crockpot with cooking spray. Set aside. Add all the ingredients to a medium bowl and whisk together. Remove membrane from ribs and discard. See posts for detailed instructions on how to remove it. Rub the dry rub all over the ribs. Arrange in the crockpot and pour half of the bbq sauce on top. Cook on Low for 8-9 hours or on High for 5 hours. Once the ribs are tender, transfer them to a rimmed baking sheet covered with foil. 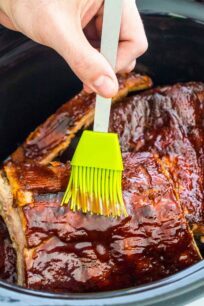 Brush remaining BBQ sauce on top and broil for 5-10 minutes. I am a bit intimidated by making ribs from scratch. Hoently, I always purchase the premade ones that I only need to heat up, because making ribs from scratch always seemed so hard. But this recipe seems pretty simple and I could totally make these at home. Oh we love ribs, but I never make them because it takes forever in the oven! Thank you, so going to try this! 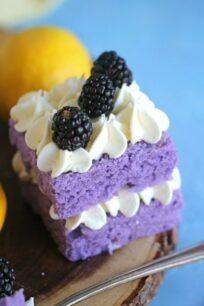 Wow, these look tender and delicious! I find cooking ribs to be very intimidating, but using the slow cooker makes it seem easy. Those ribs look so appetizing and the sauce is a great creation for them. I know anyone who loves ribs will love them and try your slow cooker method. 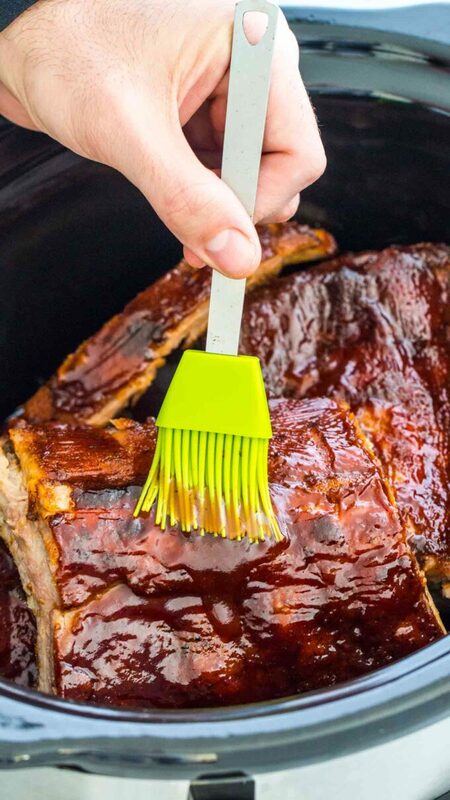 I’m going to have to try this soon because we normally wait until spring and summer and do ribs outside. The sauce sounds really good. Ribs in the crockpot are so easy and so yummy! I love your recipe. Perfect for those days you don’t have time to turn on the grill. This is a summer favorite at our house. I’d love to try your version, which looks MUCH easier than mine! 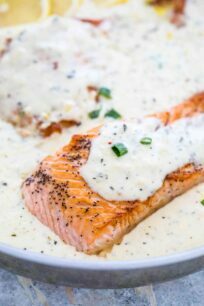 My sister cooked something like this before with the store bought sauce. I’d love to try this recipe. It looks so much better and more delicious! I need to use my slow cooker more often. What a delicious idea to get cookin! We dont eat ribs enough.